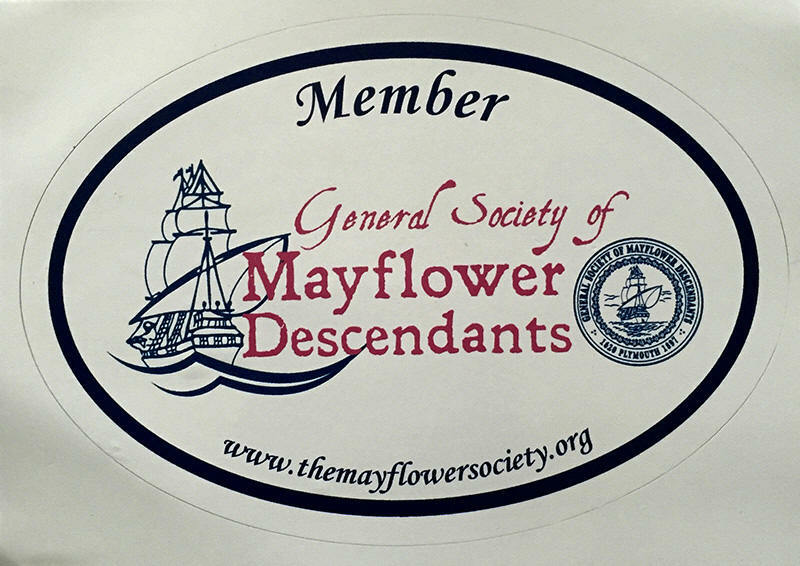 As we approach the 400th anniversary of the voyage of the Mayflower and the founding of Plymouth Colony we will see many pictures of the Pilgrims. Nearly all of them wrong! The public image of what the Pilgrim’s wore is based on old images from the 19th century and early 20th century that are historically incorrect. As James Baker, noted Pilgrim historian, points out in his recent article in the Mayflower Journal there is a major image problem associated with what clothing and apparel Pilgrims wore. The image of black clothing, buckles and blunderbusses persist in the public mind. 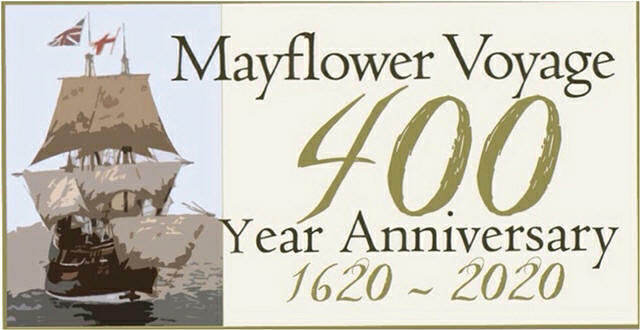 To overcome this misperception and to assist in this effort to change public perceptions, the donning of appropriate garments representing what the Pilgrims actually wore is an objective for the commemoration of the 400th anniversary of the arrival of the Mayflower. So, what did Pilgrim men and women wear? The short version: They dressed like everyone else of the time. They almost never wore black because it was expensive. They didn’t wear buckles on their shoes or hats. Shoe buckles wouldn’t start being used for 40 years or more and then only as a fashion statement. A blunderbuss is equivalent to a sawed off shotgun and was not a weapon very many people would have. A long range musket was much more useful for hunting and defense. They did take their muskets to church with them. 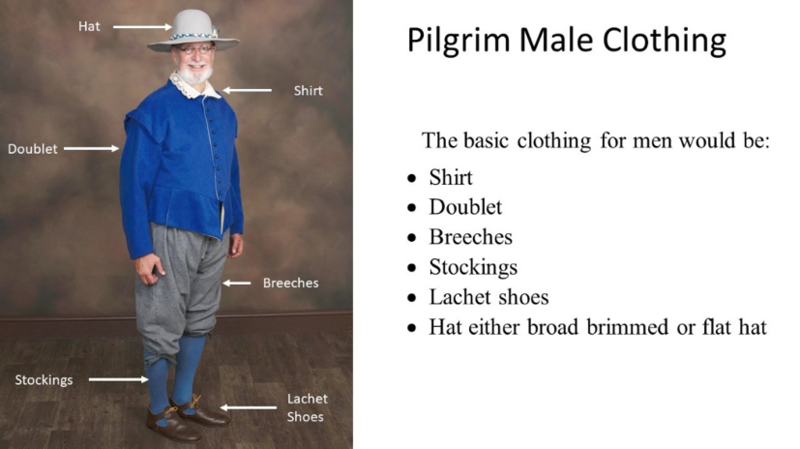 The basic apparel for pilgrim men would have consisted of a doublet, breeches, shirt, stockings, latchet shoes, and a hat (brimmed, flat, or a Monmouth cap). A Monmouth cap is very much like a plain stocking cap or navy watch cap. 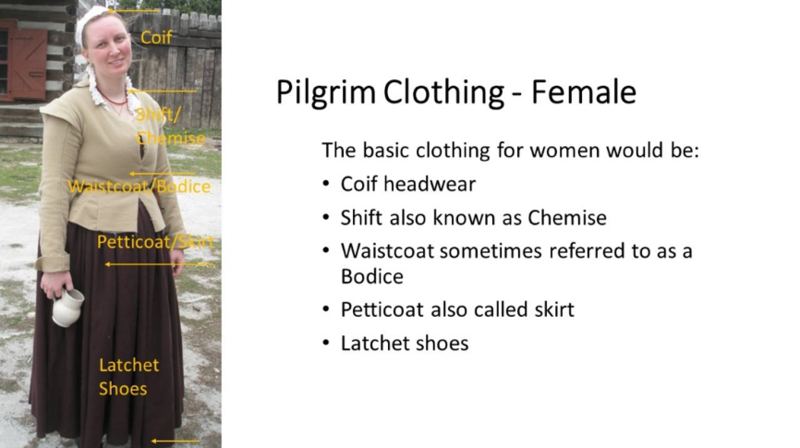 The basic apparel for pilgrim women would have consisted of a shift or chemise, a bodice/waistcoat/jacket, petticoat or shirt, stockings, latchet shoes, and coif or cap. Women also wore brimmed hats the same as men. In 17th Century England and in the Netherlands, there were two basic fabrics that were used for clothing, wool and linen. There was combination of wool and linen know has fustian corduroy that was also used, however finding this fabric today is almost impossible. Cotton while available was very rare and very expensive in the early 17th century and would not have been used by the Pilgrims. We know that the Pilgrims wore a variety of colors in their clothing from probate records where the color of various clothing items were mentioned including the colors violet, blue, green, yellow, brown and gray. The color red was also listed. However, the reds that were used in the early 17th century were more of a brick red or a matter red which is a little more orange in nature than modern reds. Black was a difficult color to obtain in the early 17th century and was very expensive and thus would have seldom been worn by our Pilgrim ancestors.